This is an amazing two-bedroom unit, in a triplex, which sits on the street level, overlooking the beautiful Pacific Ocean. There is a large living room and kitchen with granite counters and appliances, plus everything you could ask for to cook for your group. 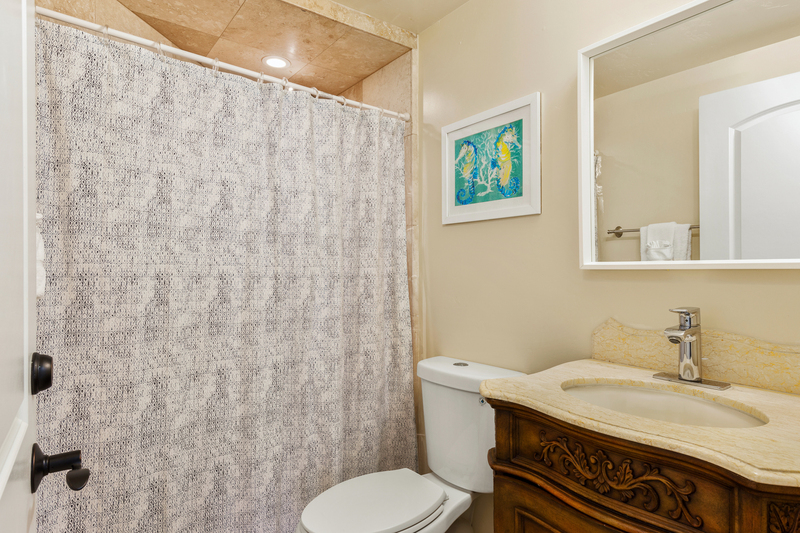 There are two bedrooms, both with ensuite baths. This unit has everything you could possibly need for an amazing beachfront vacation! 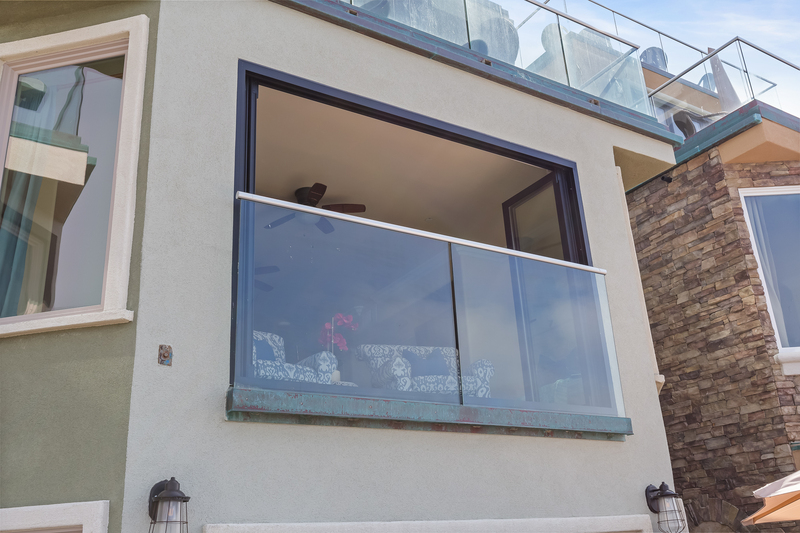 There is no outdoor patio for this property, but the dining/living room has floor-to-ceiling glass windows that completely open, so you can let in the sun, breezes, and sound of the ocean. AC is available upon request. There is plenty of space for the entire family. If you need more space, we highly recommend renting the 2-bedroom unit below and have a 4 bedroom (P128-6). This particular unit has a 1 car garage, but extra parking is available at our office in Oceanside, located at 1640 Oceanside Blvd, Oceanside, CA 92054. Oceanside is a prime location to visit the beach, but that isn't all the city has to offer. Oceanside has a vast array of restaurants, breweries, shops, and museums for guests to visit. 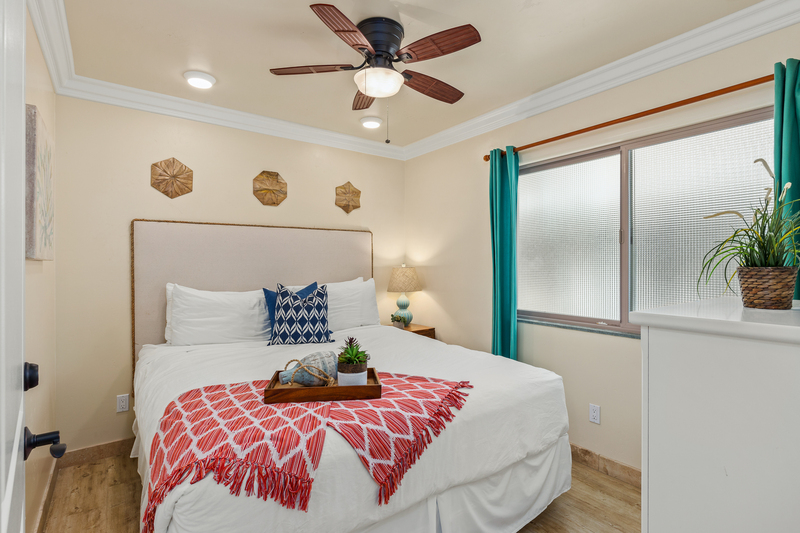 In addition, it is relatively close to Legoland California in Carlsbad; it is only about a 20-minute drive away from the Oceanside Pier. Our time in the rental was fantastic, there was some noise from the floor above, but not ongoing. An option of using a patio would have been nice, but understand the other units had access only. The views were absolutely spectacular. Listening to the seaside waves was incredibly relaxing. By far, this is the best location I've stayed at on the California ocean side. I felt as if I were in Hawaii with the view. The condo was in immaculate condition when I arrived and I left it the same way. It was spotless and very tidy. The kitchen was fully equipped with all the housewares to cook a meal. It was a nice to have plenty of soap for dishes, dishwasher and they even provided soap for the washing machine. The place had very comfortable chairs, sofas, and beds. The sheets were very clean and in great condition. I loved that I did not have any issues with the internet. I would definitely choose to stay here again with my family. This trip was with my 10-pound dog and he enjoyed the view of the ocean and people watching, while I enjoyed writing my book. The team at the office were so helpful and extremely friendly. I am very grateful to them for placing me in this beautiful condo for a week. I loved that I could order my lunch to be delivered with no hassle. The location was perfect and easy access to walk to the market, restaurants, coffee shops, and the strand. Simply amazing. I look forward to booking this location again. Thank you! Perfect for a week-long getaway without any preparation or planning. Views were breathtaking and condo was nicely appointed, very clean and had everything we needed. We brought our dog and were able to park our car inside the garage, everything was easy. We loved the area with a few fantastic bars, restaurants and shops within walking distance (Bagby, the Pig, Kombucha spot all good) that became our favorites. We loved it so much we stayed an extra night and didn’t want to leave. Outstanding! Accommodations were amazing. Only issue was the guests upstairs blocked my car in since they can't read "no parking". My wife Patty & I were so pleased with this unexpected mini vacation. When we landed in San Diego (from Troy, MI) on Wednesday, Nov. 7th my wife called our daughter to tell her that we landed. To my wife’s surprise my daughter had the dates mixed up. (Busy mom with two young boys & husband) Once we got to her house we said that we would add FOUR more days. That morning I noticed an email from Beachfront - well the rest is history. The last FOUR days of our trip couldn’t have been better. THANK YOU Beachfront Rentals! It was a great property. The only issue was the lack of a strong Wi-Fi. Which I found ironic since everything for signing up renting is online. nice condo for 2 air force veterans to enjoy the ocean view. we didn't realize you could see the whole patio below our unit when you walk to end of the living room where the doors open up to the ocean. not very private in that regard. you could also hear the party on the patio below this unit. glad we came prepared and had our own tunes to listen to that drowned out the downstairs patio. All good with property. Would consider property or using Beachfrontbin the future. Only suggestion is very weak internet signal that at times had no service or limited service. Think this is not based on phone service used by renters as we had Velrizon and Att. Just weak signal strength. Pictures tell a thousand words, and for this place you just need one; gorgeous! Me and my family really, really enjoyed our stay here. It is enough for us to be spending some time at the beach, but to spend it on top the ocean was breath taking. We enjoyed waking up to the sounds of the wave and the sights of dolphins, surfers, dive bombing pelicans as they search for fish, and end our day with watching the sunset over the Pacific Ocean. Condo is great like ALWAYS!! The only negative was the high tides killed the beach right in front of the condo. But you can walk a couple hundred feet and find beach not as packed as the public beach. Property was in a lovely location with the surf pounding directly in front. However there were a few disappointing items; the fridge appeared vandalized and was replaced the following morning by management, albeit with a less attractive model that didn't fit the recess. The floors were not washed so that you could be comfortable barefoot. This also was remedied the following day. The filthy window screen was also cleaned up at the same time. Lastly, the water tub outside kept there for rinsing sand off one's feet was not emptied and cleaned from the previous occupant..yuck. Fabulous Condo on the Waterfront!!! I surprised my husband with a weekend at this rental for his birthday and we both LOVED it. I cannot find one negative thing to say -- everything was perfect and just as described. Location is amazing - very close to The Strand but without the car traffic. And you feel like you are right on top of the water! The inside of the rental is clean and very well done; furniture is very comfy. It had everything we needed. Bagby's Beer Company is a restaurant in walking distance that should not be missed! Perfect weekend and we will definitely be back. Very nice location, accommodations and great parking experience! Our vacation with our kids and grandkids was magical because our stay in this unit was like staying home. Location is great. Our drive to Legoland was short. Also the walk to the pier is relatively short and very pleasant. Everything was great for the 2 br and the stay was very relaxing and really enjoyed the area alot. However only one thing I would like to include, The Request Keys service concierge. When I called to place an order Food/Beverages for the room, I was told to place my order and I did text in my order. Then I got a text back and was told unfortunately they were unable to find someone to deliver my order. I think they should have informed me before I placed my order that no one was available at the time. that is the only thing that I was concerned about. However every thing else was great. My friend and I and our 2 pups had the best beach experience! We literally spent hours sitting in front of the open floor to ceiling windows watching wave after wave crashing. We even rushed back every evening to watch the sun set. My husband is a clean freak and he commented several times on the cleanliness of the unit. We had a problem with the BLU-ray and maintenance responded right away. We appreciate such attentiveness. The property manager was always just an email or phone call away. We'll definitely be back! Lovely property with an amazing view. We loved it. The ocean is loud and it was glorious. Lots of surfers to watch. Amazing pub with, in my opinoin, Michelin-star-level food is within walking distance. Flying Pig was so good that we ate there twice. Beach access was a bit of a walk, but that wasn't a deal breaker for us. We happened to visit during a heat wave of 95+ temperatures. There was one AC unit in the living room. Initially the unit didn't work, but we placed a call and it was serviced promptly. When it failed again, a new unit was promptly brought to replace it. The new unit worked properly, but it wasn't able to keep up with the extreme outdoor temperatures. We were warm during our two-day stay, even with cool nighttime temps, and that was disappointing. I feel like at this price point, some accommodation should be made to have additional AC available on extremely hot days. That is why I gave it four stars instead of five. Otherwise the stay was great and would get five stars. We would definitely return as long as it wasn't during a heat wave. This experience was at/near top of my all time list for vacation rentals. The location is amazing, amenities up to date and high quality, and those glass doors opening to the ocean breeze is simply heavenly. Fabulous. Exceeded expectations. As good or better than the pictures. The bedrooms are small but you’re right on the ocean so get over it. Great location, walk to the market, coffee, restaurants. Note that there is no beach out front, it’s about a five minute walk either north or south. The view was outstanding. Dolphins each evening. From the moment we walked into the apartment, we were thrilled with the clean, beautiful apartment and the spectacular view. Everything was exactly as described. We spent hours watching the surf from the comfort of the sofa. This apartment comes with everything you could possibly need for a great vacation -- just bring the sunblock. This was my second rental from Beachfront Only. They are a great company to deal with -- very responsive and friendly. Beautiful Place! Can be noisy! The condo is beautiful and the view is awesome! Kitchen is well stocked, we had everything we needed. The drawbacks are: 1. The place is not well insulated. When there are people above you it sounds like they are jumping around when they are probably just walking. There is a train whistle to wake you every morning and one night the people below us had an ALL night (literally!!) party with music blasting. The beach is a short walk away. It’s a rocky beach but that was okay. The WiFi is good but there is little to no cell service in the house. We enjoyed the majority of our time there, but I would not return because although the beds are super comfortable the noise made sleeping well very difficult! Dear Lauren, Thank for the five star review. Hope we get to host you again soon. Thanks! The team at Beachfront Only! First time to the Rose Bowl and parade. We wanted to stay as close to the beach as possible and be able to get to Pasadena and San Diego. Absolutely loved the view and the ability to open the windows and hear the ocean. We really liked the decor and design of your place, especially the window seats. Could not have been more perfect. We needed a one night get away and this unit was exactly what we were looking for. We will be coming back. The view was great. That's about it.. The noise was so bad that we could not sleep at all most of the night.. not sure if it was the walls or what it was. You could even hear kids walking around right above the bedrooms, the floors were that poorly insulated or not at all. They had motion sensors for indoor lighting and that kept coming on at night as well in hallway. We paid 800 a night and was probably worth 300 to 350 tops. No balcony at all, and the glass wall they had on other side of sliding door seemed very dangerous.. someone will go through that one day, I would bet and fall to bottom floor. When we arrived the dishwasher was full not sure if they were clean or dirty so I ran them again and put them away! The beach was perfect with amazing views! On our last night the renters downstairs threw a party till 3am ruling our last night to sleep, relax and hear the waves crashing???? overall I give it a 3 out of 5 stars! You should be picker about who you rent to. Loud families are ok 20 year old party people are obnoxious, rude and inconsiderate!! Beautiful view, wonderful sights and sounds, great furnishings and total relaxation. The stove was leaving forward and not level. Definitely had me worried every time I used it. There was pencil marks all over the tile shower as if they just finished the work. My wife asked if we got a construction discount (which we didn't). One of my children almost got burned because the cold and hot water in the bathroom was swapped. No parking at the unit was a big negative for us with 4 kids. The view was great and it was right on the ocean. Next time I will find a different unit. We absolutely adored our time at this place. It is even more beautiful than the pictures can show. The proximity to the ocean and the cleanliness of the place were bonuses, but even better was the fun area surrounding where we stayed. We were close to the pier, to good restaurants, walking on the beach. The beds were super comfortable and we definitely will come back again. It's like having the ocean in you living room!! Our accommodations were superb! The view and the open-air experience was just amazing! The decor and comfort of our condo contributed to our vacation as well - even to the cozy and comfortable bed/bedding! We watched dazzling sunsets every evening and woke up to the spectacular ocean view every morning and the surfers provided free entertainment! We walked/ran along the shore and on the pier. 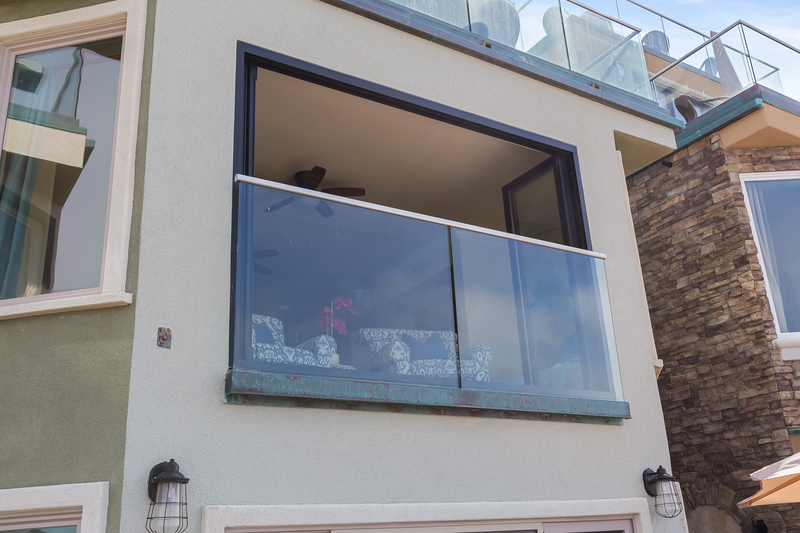 Our friends stayed a few doors down and they too had a fantastic condo - 3 floors - because they had about 20 people for an extended family weekend... We highly recommend Beachfront Only rentals and hope to return again very soon! Excellent. Easily accessible. Clean. Exactly as depicted in the pictures and description. Beautiful view, great location, definitely would come back and stay here again! Clean house with wonder view. This was a very nice place, great beds and very clean and comfortable. The only thing it needs is some larger pots, we wanted to make spaghetti and the pots were not large enough. Thank you as always for a great vacation, we will be back. Everything was beautiful the only think I would suggest is clean the decoration due to the house being so close to the beach, it had some Moldie substance! As well as change the shower curtains the bottom of the curtains were dirty as well! Reservation process was easy. Any service requests were promptly addressed. Feature to open all windows facing ocean was great! Bedrooms are on the small side, suggest using the 2nd bedroom as the master since there is more space on sides on bed. Only downside was a dirty floor. Overall the place was great. The family upstairs or should say families upstairs were very noisy. I counted 11 people. I think large parties should be required to have ground floor as we could hear every footstep. Other than that we enjoyed our time at the beach!! The condo was beautiful. The view was spectacular. Very spacious and comfortable. Beds were super comfy. Kitchen had everything you'd ever need. Liked that it had a garage so no hassle looking for parking. Found a restaurant, Miller's Table, that I high recommend. Hope to return, at least, yearly. Wonderful experience in a quiet, new, well appointed condo that looks directly at the Ocean. You couldn't be any close to the beach. The back doors are designed to bring this room onto the beach without the sand. And the built in bench/beds in the bay windows beckon you to sit and watch both sunrise and sunset. This is our second time to stay at Beach Front Only and we had another amazing stay!! Great weather and great place and an unbeatable view!! I really enjoy never having to check in or out. Very professional staff! I loved the property. I didn't like the bunk beds. The picture showed 2 beds. They were uncomfortable. Other than that it was a lovely condo. Thank you. We had a great experience overall. Everything was what we hoped for. The only issues we had were with folks in other nearby units that were loud, smoked, and parked illegally and blocked us in the garage. The staff was helpful to work with and mostly got everything sorted out. The rental process could not have been any easier. Did everything over the internet and found all to be in order when we arrived. Great location and the condo was beautiful. We really liked that the location was past the end of the paved beach access road, so there was not a lot of foot traffic passing by. Condo was very nice, however inside was very warm, had to request for a cooler, and it leaked water the entire time, so we were busy wiping up water all three days. Not good. Our family enjoyed our stay. It was clean, safe and lots of other families with small kids.The management was very accommodating to us. This was our second time to stay in this property area. We'd like to go back again.